Caldwell & Associates Realty is pleased to offer complete rental services both to the Landlord and Tenant, and through Caldwell and Associates Property Management Division, management services for residential property owners. Whether you own investment residential properties, or if you have to spend some time living out-of-town or abroad, you may wish to rent your Ottawa home. The process involves two-step: Finding a Tenant and Property Management. First we must establish an appropriate rental price and then set about finding a suitable tenant. Depending on the time of year this may be a short or lengthy procedure. Caldwell & Associates Realty Limited, Brokerage, will assist you in setting a realistic rental price. Dionne Caldwell or one of our Associates will meet with you to provide a rental evaluation and suggest the rental range that you may expect, given the size of the property, the special features, the location and the layout. Owners may either accept Caldwell’s recommendation, or they may wish to list their property at a rental rate of their choosing. Once the rental price has been established, other factors will be considered: the lease term (i.e. 1 year, 2 years, etc. ); various conditions that you might wish to set (e.g. non-smokers only, no pets etc. ); arrangements for swimming pool; lawn maintenance and snow removal. With the details identified, you will sign a Listing Agreement which provides Caldwell and Associates with permission to list your home for rent on the Ottawa Real Estate Board’s (OREB) Multiple Listing Service (MLS system); within 24 hours of the agreement being signed it will posted to the Ottawa Real Estate Board's (OREB) web site www.realtor.ca; and within 48 hours it will be posted to our websites, www.caldwell-realty.ca or www.caldwell-realty.com. Providing photographs are available at the time of posting your property to MLS they will be accessible by the general public as well as the 2,800 members of the real estate profession in Ottawa. In cases that photographs are not immediately available they are added as soon as possible. With the agents at work for you and the e-mails and calls from the public that are received by our office, the showings begin. All requests for viewing are coordinated through our office. Follow-up procedures are in place to obtain feedback on the level of interest, which upon receipt is relayed to you. At the same time Caldwell & Associates initiates in-house marketing to find the right tenant for your home. 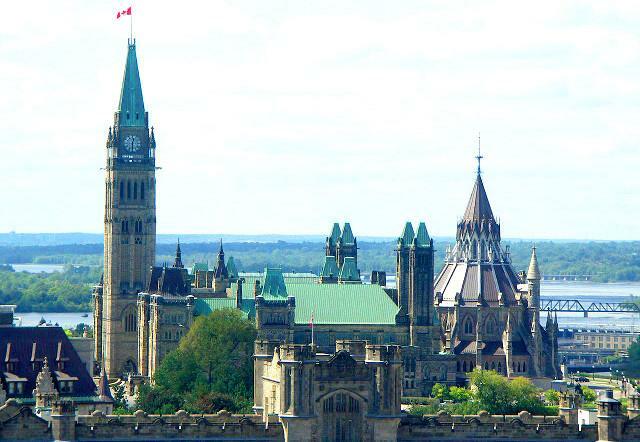 Our professional relationships, allow us to work closely with the major embassies in Ottawa which includes but is not limited to providing them a list of our rentals twice weekly to ensure that they are aware of what we have available to meet the needs of newly arrived diplomats. We also work with relocation and executive transfer companies. Appointments to show your home are made through our office. We contact you with requests while trying to keep your schedule in mind. With your permission a lockbox containing the key will be installed on your property to facilitate showings when you are not at home. The lockbox requires a code that is only provided to licensed realtors whose identity has been verified through the OREB. A sign (optional) may be placed on the lawn to ensure maximum exposure (in the case of condominiums this is not always possible). The prospect then completes a Rental Application, which includes key information about the tenant(s), and authorizes Caldwell & Associates to perform a credit check. We utilize Rent Check Corp; who use several credit checking organizations to provide critical financial information regarding payment history (use of computer access to credit information ensures a quick response). Where appropriate, we also contact current or past landlords for their opinion. However, if the client is a diplomat no credit check can be performed, and we contact the Embassy to confirm the status of the applicant and request an official letter from the Embassy with this information. The prospective tenant provides a cheque equivalent to first and last months' rent which may accompany the Agreement to Lease or submitted once the offer has been accepted. The cheque is deposited in Caldwell and Associates Realty Limited’s Trust Account where it remains until the negotiation process is completed or terminated (in which case the deposit is returned). The keys are released to the tenant either by the owner, or by Caldwell & Associates. If the latter Caldwell & Associates does a walk-through with the tenant and provides a pictorial and written report to both the tenant and the landlord as to the condition of the property at the commencement of the lease. The keys are released and an acknowledgement of receipt is signed by the tenant on the commencement date of the lease to the tenant unless otherwise agreed to by the landlord. Note: If Caldwell & Associates are the property managers, walk-throughs with a full pictorial reports are conducted on both move-in and move-out. If not Caldwell & Associates do not manager a property, then a fee may be applied for this service. With the lease in place, and the tenancy commenced, cheques are disbursed from our Trust Account, our fee is deducted from the deposit and the balance is forwarded to the landlord.